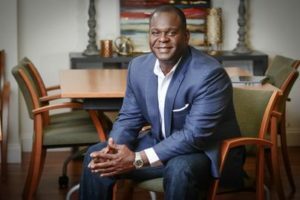 Road Ammons, the Managing Partner of The Snomma Group llc, leads the organization on behalf of clients throughout the United States from his central U. S. location in Nashville, TN. Mr. Ammons has substantial project management and corporate development experience in various sectors as well as working with Governmental and Commercial owners nationwide. Prior to founding The Snomma Group, Mr. Ammons spent 10 years as a US Marine Corps officer and fighter pilot. After completing his tour of duty, he raced in NASCAR for several years as a driver. Following his NASCAR career, he entered the investment banking world. Most recently Mr. Ammons was employed as a Managing Director at Aaron Capital, Inc. providing transaction advisory services to middle market businesses nationally. Before Aaron Capital, Mr. Ammons worked as an investment banker at Duncan-Williams, Inc. in both the public and corporate finance groups, he led numerous public and private transactions where he participated in more than $1.5B in transactions both as a senior and co-manager. Mr. Ammons received a B.S. in Computer Science from Tennessee State University and a M.B.A. in Global Finance with distinction from Thunderbird School of Global Management. Copyright ©2017 The Snomma Group. All Rights Reserved.